The Football Association plans to capitalise on interest around the England team's World Cup campaign with a new brand experience at the national stadium Wembley. Speaking to the Daily Telegraph, the FA’s commercial director Stuart Turner said the body is hoping to create a more immersive fan experience at Wembley, including a new "home end" for passionate England fans and banners to celebrate famous victories. Supporters not able to attend the games will also be offered additional second-screen content. The FA aims to copy the methods used by Arsenal at its Emirates Stadium to make Wembley feel "more iconic for England", said Turner. "At the minute, it is a disjointed atmosphere at Wembley," he said. "We want more of a club feel to it. 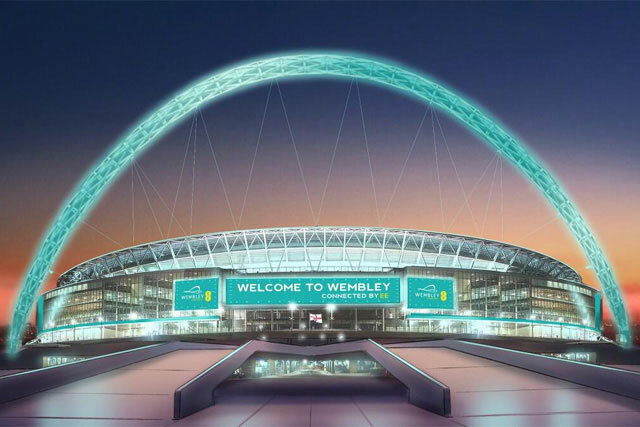 Sometimes we feel that we are just another renter of Wembley like the NFL or the Football League, and actually we should be working harder to make Wembley the home of England. "You can’t just keep expecting people to come to Wembley, selling 72,000 tickets every time." Turner also revealed that the FA has been able to increase its revenue from sponsors, including new Wembley partner EE, after shaking off its "toxic" brand problems in the wake of England’s disappointing World Cup campaign in 2010. Its total sponsorship revenue for the 2014-18 cycle is £165m, up from £145m in the 2010-14 period, and Turner expects additional partners to emerge if England enjoys a successful tournament in Brazil. He said: "We were toxic after 2010, and I don’t use that word inadvisedly. We were toxic. Nobody wanted to touch us. We didn’t have a sponsor for six months once Nationwide pulled out with England. We had four or five partners lined up to sign and after 2010 they just weren’t interested. "Now all the commercial partners have signed up again for increased numbers. If we have a reasonable World Cup we might be able to enhance that even further. Suddenly an airline might be interested in engaging with us. But as it stands, we are paying the bills nicely."